Herbs are one of the central forms of medicine I use in my medical practice to promote, maintain, and restore health. I began using herbal medicines over 30 years ago, and in fact, am considered one of the leading herbalists for women’s and children’s health in the world. I love the simultaneous simplicity of the traditional use of herbs and the complexity of their chemical compounds and actions on our health. I have dedicated much of my life to understanding their medicinal properties. Herbs come only second to food and mindful self-awareness in my approach to chronic health problems, and often come first, again, along with food, in treating many common acute health issues such as colds, digestive symptoms, and headaches. Herbs are highly effective, often comparing favorably – sometimes even better – to medications in clinical studies, and used properly they are almost always safer than conventional medications. Unlike pharmaceuticals, most are available from companies that prepare them in environmentally sustainable ways. I love that using them connects me to ancient women’s ways of healing, and also connects me to the earth more directly for my medicine. In fact, many of the health benefits we find in a plant-based diet are also directly found in using herbal medicines. In my practice I treat mostly women and see certain themes repeating themselves – particularly inflammation and autoimmune conditions, stress and anxiety, weight, and hormonal problems. While patients who come to see me get completely individualized health plans, including herbal plans, there are some herbs that I use so often that I can recommend them as generally beneficial to most women. I thought I’d share the 5 herbs with you that I recommend the most frequently based on the most common conditions I treat: hormonal imbalances, fatigue, weight problems, stress and mood issues, autoimmune conditions, thyroid disorders, fertility challenges, digestive disorders including IBS, skin problems, and sleep troubles, among others. The herbs below can be used alone or in any combination with each other to help with many of these conditions either directly, or by supporting your immune system and reducing stress. Of course, there are literally hundreds of other amazing herbal medicines I use in my practice – this is just a sample, but I think you will find these of great benefit in a variety of health situations and it’s a great way to get started using herbs in your life. The herbs below are generally safe while you are taking most medications; there is some concern about interactions between curcumin and blood thinning drugs, so please check with your doctor first if you are on an anticoagulant medication. The following herbs are all safe while breastfeeding. However, I don’t recommend rhodiola and ashwagandha in pregnancy, not because they have been proven unsafe, but just because safety data really isn’t available on use in pregnancy. Chaste berry, or vitex as it is also called, used to be considered not for use in pregnancy, but the latest data suggests that it is safe and may be continued or started if needed for hormonal support. Curcumin is the active anti-inflammatory ingredient in turmeric. While eating turmeric is certainly health promoting, when it comes to preventing and treating inflammation and supporting your body’s natural detoxification abilities, the more concentrated form of the herb, curcumin is the way to go. I use it for women with leaky gut syndrome, allergies, eczema, joint pain and swelling, and most autoimmune conditions. It is also a good general health promoting herb that supports detoxification from environmental chemicals. The dose is 1000-2000 mg daily. Rhodiola is in a class of herbal medicines called “adaptogens.” Adaptogens influence the health of the adrenal glands, which control many functions in the body, including stress reactions, inflammation, blood sugar balance, hormonal balance, and immunity. Other adaptogens include ginseng, holy basil (tulsi), eleuthero, reishi mushroom, shitake mushroom, schisandra, and ashwagandha (discussed below). Each has many similar actions on health, and each has unique properties as well. In addition to helping to balance blood sugar, fighting fatigue, keeping you out of “fight or flight” mode thus helping you to reduce stress, and nourishing your immune system so you get sick less often, rhodiola is especially known for its effectiveness in relieving anxiety. Ideally, you want to look for products that say that are standardized to 2-3% rosavin and 0.8-1% salidroside. This is safe to take if you are on medications for anxiety, and you may even be able to wean off of your medications after a few weeks or so, but work with your doctor on this for maximum safety. Adaptogens are usually recommended for a minimum of 3 months, but can be taken daily for even more than a year. The dose is 100mg-400mg/day depending on the severity of your symptoms and your response. I usually recommend starting slowly and increasing to the max dose if needed. 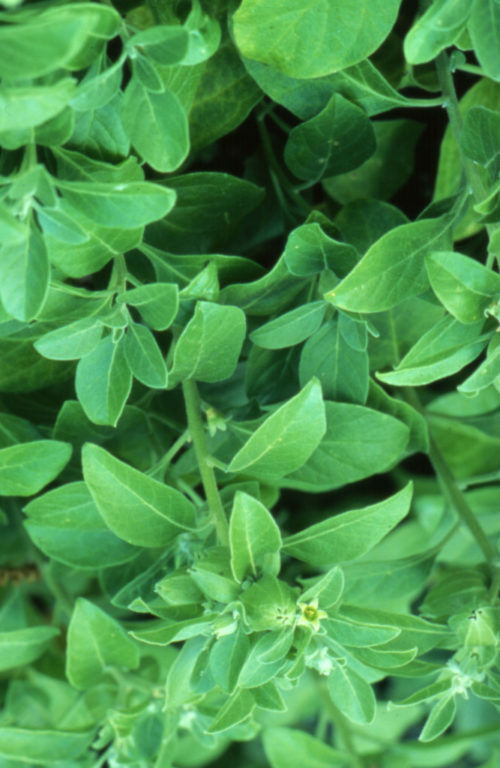 Like rhodiola, ashwagandha is an adaptogen, and has all of the immune supporting, fatigue relieving, stress hormone and blood sugar balancing actions of the other adaptogens. I mention it because it is my favorite adaptogen for the stress women experience from the overwhelm of constant multi-tasking and juggling of busy lives. It is gentle, non-stimulating, can help improve sleep and reduce chronic joint pain. The dose is typically 1 to 6 grams per day of the whole herb in capsule form, or 2-4 mL of the tincture or liquid extract, 3 times/day, and like other adaptogens, is taken for at least 3 months, up to even more than a year. 1-2 Tbsp. of freshly ground flax seed taken daily can have tremendous benefits for your weight because it helps you to feel full, improves your bowel health and regularity because it feeds good gut flora and acts as a gentle bulk laxative, and helps to balance your hormones because in supporting good gut flora, flax helps your body to eliminate excess harmful estrogens you may have produced or picked up from the environment, which not only keeps you in better hormonal health, but may prevent breast cancer. Taken regularly, they also improve blood sugar – even in diabetics, reduce inflammation, and bring down cholesterol. 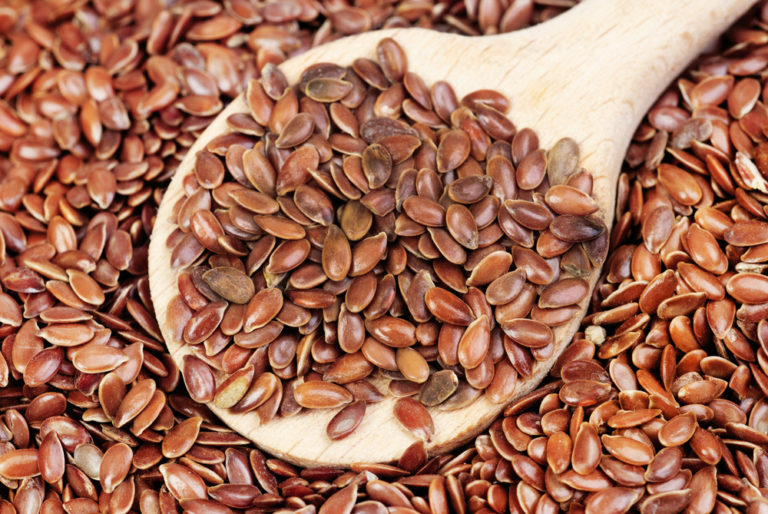 Supplementation with flaxseed significantly increases omega-3 polyunsaturated fatty acids. They are inexpensive, readily available, and have a pleasant taste. I recommend simply adding them to a smoothie/shake, or tossing them into your salad or onto grains (just don’t heat the flax seeds). Dose: 1-2 Tbsp. fresh grounds seeds daily. Chaste berry, or vitex, is nature’s hormonal balancer. While not containing any active hormones itself, this herb improves progesterone balance, effectively treats PMS symptoms, including depression and irritability, bloating, breast tenderness, cravings and acne, and helps to regulate menstrual cycles. Vitex promotes fertility; in fact, one of the “side effects” of some of the clinical trials that have been done is that women have become pregnant! It has also been used to prevent miscarriage in women who have a history of miscarriage, possibly due to effects on progesterone. Vitex also treats menopausal symptoms including some benefit with vaginal dryness, sleep problems, and hot flashes. It has very few side effects other than unpleasant taste and possible nausea. 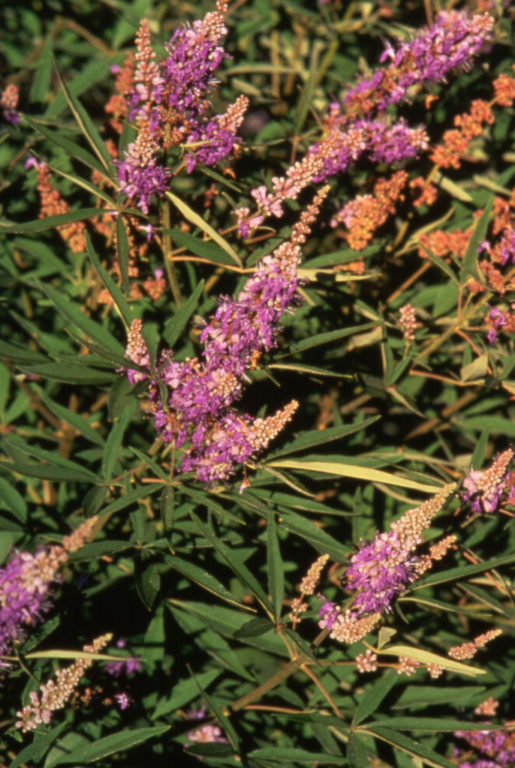 In a very small subset of women with depression, vitex may aggravate symptoms. If this happens simply discontinue use; however, it is quite rare. Typical dosing is 20-40 mg/day, though up to 240 mg of products containing the herb have been shown to be safe and effective. Tincture or liquid extract is taken in doses of 20-40 drops up to 3 times/day, though some herbalists recommend as much as 1 measured teaspoon (= 5 mL) per day, either in one dose in the morning, or divided into 2 or 3 doses throughout the day. Do you have experience with botanical medicines you’d like to share? Favorite herbs for women’s health? What do you wish you knew more about herbs? I’d love to hear about your experiences in the comments below! I have been using Wild Yam for hot flashes for several years. Minimum dose works for me. Thanks for the reminders, Aviva! I stopped taking Vitex and I'm realizing that was a big mistake given recent symptoms. Time for a re-balancing. Thank you for this wonderful post. I've personally been using maca to life-changing results. I would love if you wrote a bit about it. I know you mentioned other great adaptogens, but I feel maca also deserves to be featured! Thanks again! I've been using Maca as well, it has changed my life!! It has helped with my hot flashes, and gives me that extra boost I need. Where can you obtain these herbal remedies? I've recently started taking Burdock Root extract to help me with problems I've been experiencing with cystic acne. I'm on my second bottle (with a two week break in between) and I've found that when I take 1 dose 2x a day, my skin really does look and feel smoother and any redness associated with acne isn't nearly as prominent. Hi Aviva! First of all I am new to your blog and so far I love it!!! I love all the herbs you mentioned except Rhodiola...I find that I get a headache whenever I have tea made with it. What do you feel about chia seeds? I ve been using them more than flax because of shelf life and because I dont have to grind them before use..I add them to water or almond milk everyday.. Also I agree with Alexandra I would love to hear about your thoughts on Maca Thanks again!!! Hello Aviva! Why do you think I had bad side effects from everything I took? Shatavari- baaad acne, greasy hair in 4 hours after washing; Wild yam-same; Vitex-bloating, a few extra pounds in a few days, hair shedding; maca- caused a mid-cycle bleeding. Saw palmetto- ok but tender breasts and belly. Ashwagandha 450mg per day and Primrose 2000-3000 per day fine. Thank you in advance. I thank you for this post ! I have a friend who is a nurse practitioner and is learning Functional Medicine -wish you could be her teacher!! I had been taking Shatavari for hormonal balance (anger /irritability, bloating,ovary pain) and felt I was having more menopausal symptoms when I started waking at night in a sweat and my cycles went to 35 days --so I stopped taking it and started black cohosh tincture am and pm -my Symptoms improved so I will continue it .I have been afraid to try any vitex as I am 48 in a week and have 4 children and do not want to be more fertile! You do want to be careful with herbs as well as supplements (i.e. magnesium) when on anti-arrhythmics and other cardiac medications. I would be best to consult with someone locally for specifics! Thanks so much for this post. You always give great information. I've used Damiana for menopausal symptoms. What are your thoughts about this herb? Are the adaptogens safe for pregnant/nursing moms? But yes for nursing? I am nursing my 8 month old and can't find any evidence that they are safe -- everything just says to avoid them as they are not studied in breastfeeding moms. Could sure use the help. Thank you for always providing wise information! Thank you for this wonderful article. I am particularly pleased to see the dosage for each. Very helpful and informative. Chaste berry helped regulate my menstrual cycle and ease cramps. After trying to get pregnant for a year, I took the herb for 60 days and got pregnant the first cycle following! What milligram of vitex did u take? The bottle i bought from metagenics is 100mg. Im wondering if its to little? What Steiner book did you read that quote in? I've read many of his books, can u tell me the title ? It was sent to me...not from a book. Sorry. I've had great results with Maca as well. Where can I find these herbal remedies? I love motherwort and mugwort tea and tincture. It's specific for female issues such as heavy/delayed menses as well as an affinity for the heart. Raspberry leaf intrigues me for next time I become pregnant for assistance in labor. I have recently become familiar with Black Cumin Seed Oil for a variety of ailments, however, contraindicated for pregnancy. Would love to hear your thoughts about this. My naturopath has used all of these herbs with me except curcumin with really wonderful results along with other lifestyle supports. I so appreciate you sharing this information with us , it is so helpful and I plan to pass it on to clients and friends. Great post, thank you! I love your Top 5. I've also found that Ashwagandha is very useful for supporting low thyroid function. Hello everyone, I have been off of Zoloft,( 50mg.) for over two years now. I obtained very good results by replacing it with homeopathic remedie (calcarea carbonica), tinctures to sleep, breathing technique, curcumin and yoga practice...However I am 50 and still suffering of fatigue, hormonal migraine and very low libido. (I love my husband of 30 years). Could you recommend a natural herb and/or homeopathic remedies associated to raise libido? I never tried aphrodisiac, where can I get real and safe info regarding these products? Thank you. I heard during a FLO Living webinar that vitex can interfere with fertility. That it is good to use it to regulate your cycle but if you are actively trying to conceive it can be problematic. Is there new research that suggests otherwise? Or was I misinformed? Yes, this is inaccurate and I need to mention that to Alisa Vitti -- she is wonderful, though not trained in herbal medicine. How was the seminar? This is fantastic! As an athlete, I always sprinkle turmeric on my food to help with inflammation but now that I know about curcumin, my question is...can I also sprinkle it on my food or is it better in a capsule form? Also what's a great online source for purchasing these herbs? Thank you. Meriva is the standard go to product. You can find it in many places -- also The UltraWellness Center online store carries it. Thanks for another great post! So, Vitex is considered safe during pregnancy? I thought I had heard a number of years back to discontinue it if you get pregnant because it might increase the chance of miscarriage. yes -- a thorough literature review culminated in a safety rating in the botanical safety handbook 2nd edition! YAY! Yarrow is my favorite hormone balancing herb. It will make your period heavier or lighter, whichever you need. Mine was so light and I took Yarrow and started having normal flow. This was a big part of my 4 year journey to becoming fertile. Thanks for a great article! My 8 year old daughter has light eczema that I noticed improved when we eliminate dairy and tone down the sugar consumption- given her age and constant exposure to sweets at school etc., this is a never ending battle! Do you recommend Curcumin for children and if so, what dose? Yes, in low dose, depending on the child's age, it is completely reasonable to use. I'd base the dose on the percentage of the child's weight to a 150 pound adult and divide the dose accordingly. i.e. a 50 pound child's dose would be 1/3 that of an adult (50 lb/150 lb = 1/3). What part of the vitex did they tincture in the studies? I'm guessing the berries. would I do a 5:1 or 2:1 tincture? correct -- the berries. tinctures vary in strength. 1:3 - 1:5 is perfect. Right now, I'm taking 2 supplements for hormone balancing. One is called Balance from Orthomolecular Labs and the other is Estrofactors from Metagenics. These were both prescribed by my gynecologist. Balance has licorice root, vitex/chasteberry, and peony root to help increase my progesterone. Estrofactors has some B vitamins, rosemary extract, curcumin extract, chrysin, and a couple other things. I have been taking both supplements for almost 2 months now. Periods have gotten a lot better but I still have lingering symptoms that I hope to get resolved soon by giving the supplements more time to work and incorporating exercise and stress relief (this is a big one for me!). I am a HUGE proponent of botanical medicine, but I still have the same question as I did when I was being prescribed pharma drugs. How do I get off the herbal supplements? Taking an herb every day for the rest of my life is a much better option than a pharma drug - especially if I can grow and prepare it myself for free - but I would still rather my body work without daily intervention from supplements. Any advice for knowing when to stop taking herbal supplements or when to pare them down? 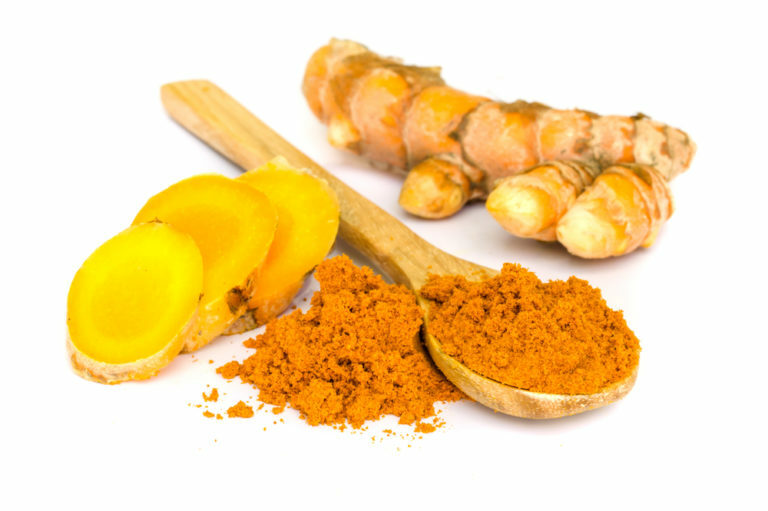 Hi Brooke, I usually use symptoms as a guide -- but in truth I consider many botanicals an extension of foods so some, like curcumin, can be transitioned to the form of turmeric, for example, and some can be taken as teas rather than in pills, etc. Many herbs and supplements really need to be taken for quite awhile -- even 6 months or a year -- for maximal effects. Warm regards! Can you use all of these products in your day? A very timely article for me. Thank you so much for sharing. I used Vitex before and during my pregnancy. I asked my midwife but she didn't know- Is Vitex ok while breastfeeding? Yes, according to the Botanical Safety Handbook it is, however traditionally in large doses it was used to dry up breastmilk so be careful. Thank you for your article! If I wanted to try all or at least several of these, is there a tincture or tonic that combines them, or is there an ideal way to make one?? Thank you!! Hello! I use a lot of chaste berry with my client (2.5ml in the morning), But I've seen a couple of times that it bring the cycle longer, can go up to 35 days. What do you suggest in that case. Usually I just tell them to stop to take it at 28 days. Have you seen that side effect on women? Thank you for your awesome work! Hello Aviva, and thank you for this awesome information. I am trying so hard to get my hormones balanced and stress levels/adrenals good...at age 37! I bought the Gaia brand Vitex Berry....but after reading what you recommend dosage wise I am worried I may be getting way too much. The back says 1,000 mg (serving size 2 capsules a day)...I have been taking 1 capsule a day to make it last longer, but this still seems like it's be much higher that the dose you recommend. What is our opinion? Thanks so much! I'd also love to know the answer to this - am also on Gaia vitex brand liquid capsules. In your experience, does it take a little for one to get used to Ashwagsndha? I tried it one day and was sick to my stomach, tired and was having some seriously wacky thoughts! My ND recommended it for high cortisol levels. I haven't had that experience before but people do have reactions to herbs sometimes -- though rare. You might consider a different one of the adaptogens...Or try again with a meal and in a smaller dose perhaps? Good luck! Thanks! Tried a different brand and no problem! The one that bothered me had added/higher withanoloides . . . Thanks for the wonderful information! Is it safe to use turmeric to treat a cold or flu during pregnancy? If so, what is the appropriate dosing? Thank you! Hi Dr. Romm- I'd first like to say that I came to know you through Naturally Healthy Babies and Children and it changed my life so thank you! Secondly, I read your article on Adaptogens and ordered Gaia Herbs Adrenal Health. I'm nursing a 20 month old and read on Gaia site that rhodiola isn't ok while breastfeeding. Should I D/C? Thanks! I love your blog! I am currently taking vitex and dong quai for PCOS. Both have helped a lot reguating my periods. My husband and I want to start trying for a baby soon. Should these herbs be stopped cold turkey before trying to conceive? Or, do I need to wean off? If so, what is the best way to go about that? Thank you! I found your blog through my mother, a former pharmacist working as a health coach, and you are now on my regular reading list. Thank you for sharing such great information in a simple, easy to understand format, and showing how easy it can be for me to take ownership of my own health! So, rather than a tincture of vitex, I actually have a bag of dried chaste berries that I got from The Bulk Herb Store. Do you happen to know what volume measurement is recommended of a powder of pure vitex for encouraging ovulation and regular menses in a healthy woman? I would be very interested in the same information for macs powder and saw palmetto, if you have it... Thank you! I love motherwort for menstrual cramps and also as a calming herb... I have heard it is also effective in case of a broken heart :) And of course it is a bitter and good for digestion. I love it because it grows everywhere and is very easy to harvest and prepare. Don't take too much or it will cause indigestion. I suspect I have high cortisol, which is leading to low progesterone. Can I take vitex and rhodiola at the same time? Thank you for all the great info on your blog! It's wonderful. Reading about vitex, I'm curious about wild yam in the first trimester of pregnancy. I've heard of mamas using wild yam to help balance hormones and prevent repeated miscarriage, similar to vitex, and it's in your natural pregnancy book as an anti-miscarriage herb. However, a CPM friend recently told me if you miss a dose it can cause a miscarriage, and my OB friend said it's on her "not safe" list. What's the best evidence for wild yam in the first trimester? Thank you! Hi Aviva. Thanks for the info! 2 Questions: (1) I have regular 32-day cycles with a 15 day lu real phase. However, my testosterone is super high, vitamin D is low & I believe my cycles may be anovulatory. Should I take Vitex or would that mess up my already regular cycle? (2) If I should take Vitex the recommended dose on the bottle is 1000mg. Is that too much? Thanks! Hi Aviva, I found your blog very useful to me. I have been having severe acne and hair thinning, and I am sure it is hormonal. I was put on Yasmin for my hormonal imbalance. It worked only during the period I was using it. Have tried many antibiotics, oral treatment but I still suffer with it. Planning to by Asana ladies' balance on Amazon which has vitex, chasteberry and Maca in a capsule form. Do you think it's a right decision? Thank you! Will be waiting for your reply. Hi Shara, It's sounds like you might have a condition called PCOS. While those herbs can help, they don't get to the root of the problem. I have a blog on PCOS on my website, and am going to be doing a podcast for my Natural MD Radio in a few weeks. But the blog is already available. I took a tumeric supplement and I'm 4 weeks pregnant. Should I be worried? I just read that it can cause birth defects and stimulate menstral flow. Don't worry! Your baby would not be harmed by this! Pregnancy is a pretty hearty process. But go ahead and stop taking it!!! Congrats on your pregnancy. Hello. Been listening to your podcast lately. I buy vitajing brand adaptogens and it's getting expensive to keep up with all the ones I want to get but it's so worth It. I feel great taking holy basil, ashwaganda, gynostemma and rhodiola. Any brand you'd recommend? Love the info you share. Thank you. I have Ashwagada powder and Chasteberry powder meant to be made into a tea.Can I combine the two?Will it render them useless or lessen the impact. Hi! I've been wanting to try Vitex but have heard that it can be problematic for woman with PCOS (particularly if LH levels are elevated, as it can increase LH levels). I've been taking Peony and Licorice to help encourage ovulation, but without result. Would vitex be safe to try, or should it be avoided if LH levels are already high? Thanks! Is Rhodiola safe while breastfeeding? What brand of Chasteberry would you recommend? Hi Aviva, I'm 26 and struggling with acne. I started taking yaz when I was 16 for acne when it wouldn't go away and cleared up my face, when I turned 23 I went to refill and a new doctor recommended against it because of my history with aura migraines. At first my skin was alright but has been getting worse to now I have it as bad as when I was 16. I've done everything recommended in research: drink 64oz H2O, eat clean, clean up personal care products from toxic chemicals, switched to a diva cup from tampons, excercise and do yoga almost daily, started taking supplements: glucosamine&msm, turmeric, vit e, mushroom trio, lysine, collegen&hyluranic acid, and navan skin clearing hormone balancing blend. I started with Navan which did wonders for my period pains and my face for awhile but now my face is still breaking out. I did more research and my symptoms match ~98% to high estrogen-low progesterone. Can you recommend one supplement over another for progesterone in particular as well as approximate dosing to start with to be adjusted as I see fit? Also a recommended time frame to see results it it works so I don't ditch it too early? Thank you! Do you know of a product that has all 5 of these wonderful Herbs in it with sufficient dosages of each? It is advised to take shatavari and vitex together? These are commonly combined together for women's wellness. I'm wondering are the Herbs safe to take together. In particular, can Ashawagandha be taken with vitex? Any supplement recommendations for alopecia areta or thinning hair? I currently eat flaxseeds in the morning. I take a multivitamin, B12, Evening primrose to balance my hormonal acne and magnesium and Dr. Ohirra probiotic. I want to take Vitex, but am nursing. I know in smaller doses it's ok and can increase supply while larger doses *can* dry you up. I can't seem to find anywhere what a good exact dosage would be. Gaia makes one that is 1000 mg (2 pills).. would taking one of those (500 mg) be a safe starting point or should I start lower? 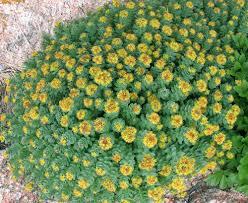 I find Rhodiola to be highly effective when I'm going through a stressful period. It helps with depression and anxiety within a week and I only need to use it for a short while before I'm back to my happy self. Thank you for all this info. Hello, I am a breastfeeding mother with occasional anxiety. Ashwagandha has been incredibly helpful in curbing anxiety, but I believe it is causing stomach upset in my 22month year old daughter. Is there much research on breastfeeding side effects? Is there another equally effective herb for anxiety that is safe for my daughter, as well?